“Mile High” might still have a few miles on the clock yet. 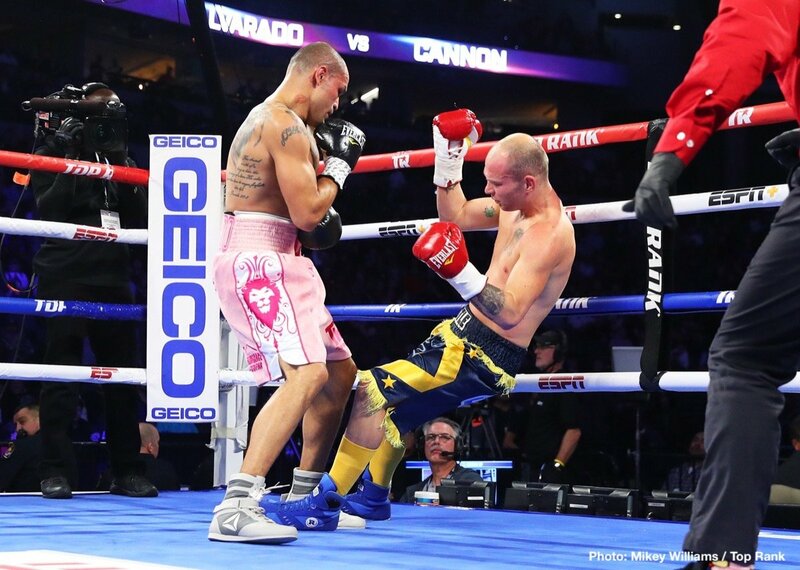 Certainly former WBO 140 pound champ Mike Alvarado will always have a puncher’s chance in pretty much any fight. 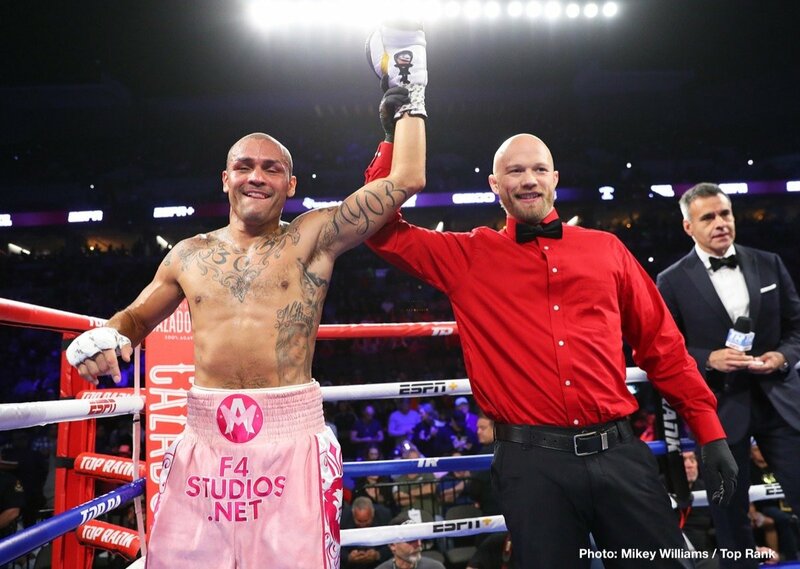 Though he was in with a journeyman last night on the Crawford-Benavidez card – Alvarado matched with the fun-nicknamed Robbie “The Pea Shooter” Cannon – Alvardo sent his fans home happy. 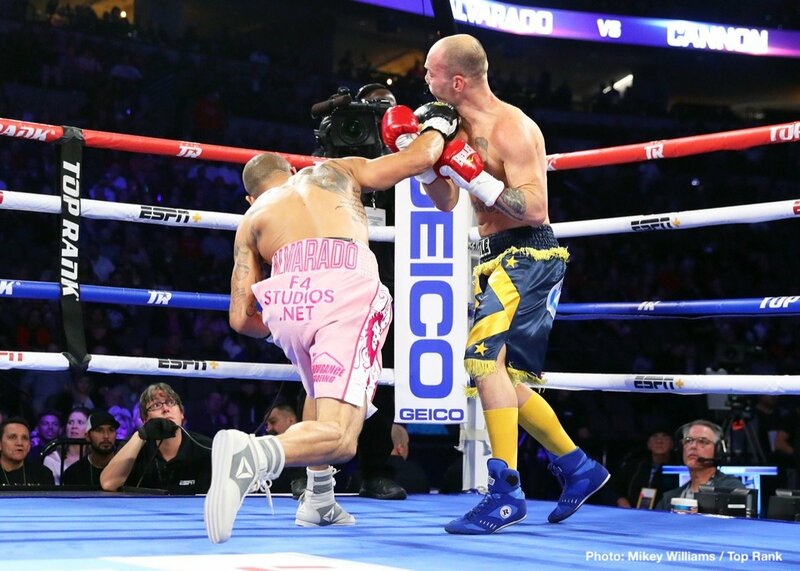 After a so-so opening round in the welterweight bout Alvarado let his bombs go in round-two. A fast right hand to the head sent Cannon down and the 16-14-3(7) trier barely beat the count. Then, unleashing a vicious right that landed flush, Alvarado earned some ‘oohs’ and ‘aahs’ from the big crowd as Cannon fell heavily. Now 40-4(28), Alvarado has won his last six, five of them by stoppage. At age 38 it is unclear how much longer Alvarado will box on for, but with Top Rank promoting him he might get himself one more big fight before he is finally done. A thrilling warrior in his day (and possibly still able to thrill at top level these days), the man from Denver, Colorado treated fans to some classics against the likes of Brandon Rios and Breidis Prescott back in 2011 to 2013. 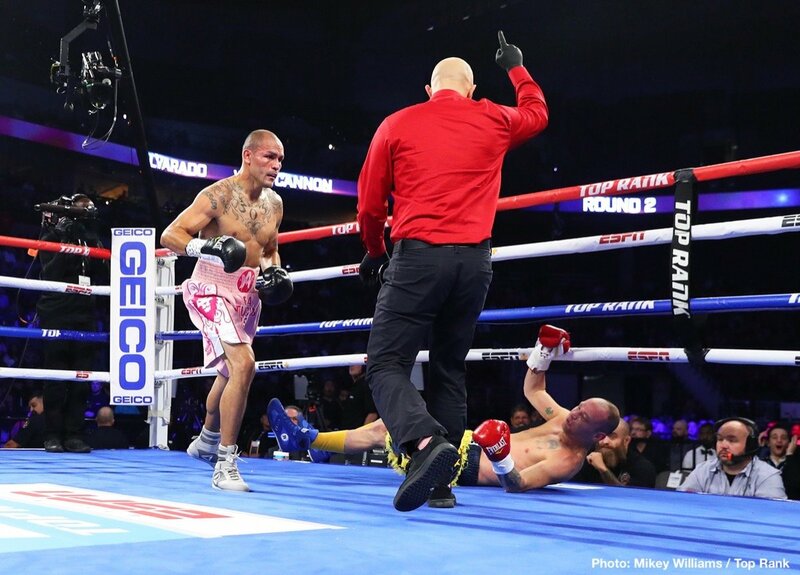 Those punishing fights seemed to have caught up with Alvarado (and maybe they have indeed), and the veteran slugger lost badly to Rios in their rubber-match and then to Ruslan Provodnikov and Juan Manuel Marquez. After just over a year out, Alvarado returned and he has now put together a decent winning streak. It will be interesting to see who Alvarado is matched with next and if he can get himself another big fight, a world title shot even. The odds will be against Alvarado winning a world title should he get another shot, but “Mile High” will not lack fan support. A genuine fan favourite, Alvarado has always given his all and as a result he is a fighter fans cannot help but root for. 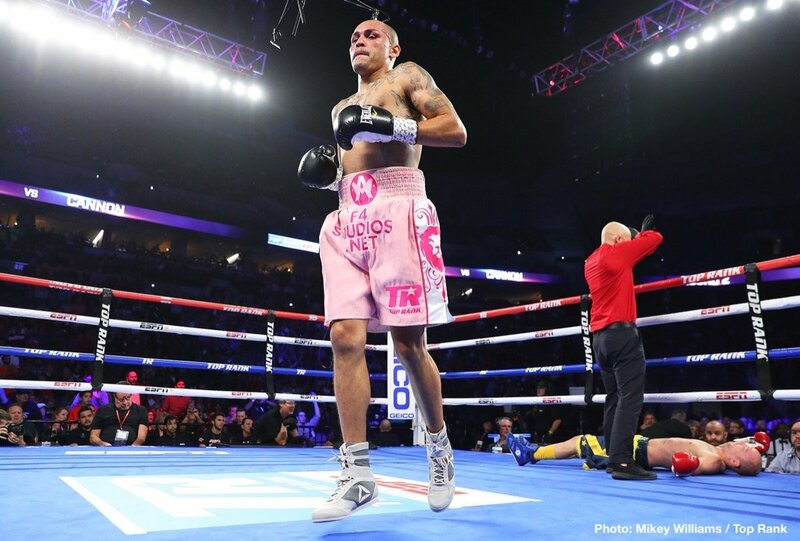 Can Alvarado still make 140, or will he continue to ply his trade in the talent-rich 147 pound division?